Action: View showing the layout of the outside wall, including the 2 marble lions on either side of the paved way. Gate with 3 doors and a tower. 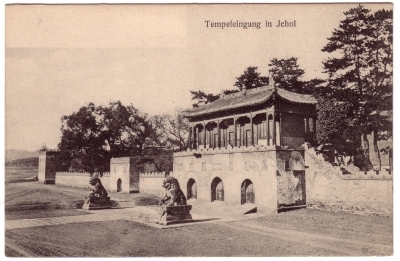 Image Particulars: The temple complex at Chengde was erected by the Qianlong emperor in the 18th century to show his devotion to Lamaist Buddhism (see no. 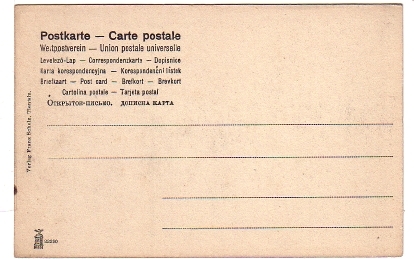 cn00320).